It is really simple why my customers choose to move to Lakeland FL from Tampa FL and Orlando FL- modest town environment vs. city sprawl and quality of life. Lakeland is not simply a pit stop of the Interstate. 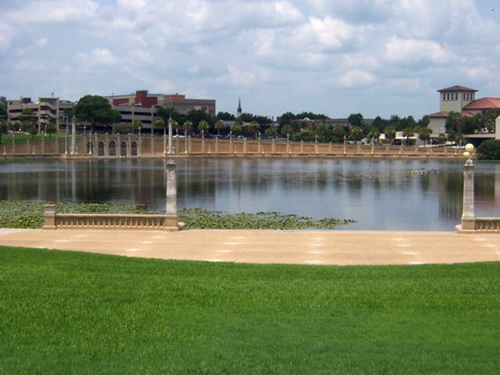 Lakeland gained acceptance in 2007 as one of the Best Metropolitan areas for relocating households as an All American City. I can attest to this statement since I have been living here since 1993. Lakeland FL has everything you should find in bigger cities like Orlando and Tampa. Shopping centers at Lakeside Village and Lakeland Square Mall, specialty shops in downtown Lakeland, state of the art playgrounds, parks and recreation from golf, fishing, tennis, swimming, strolling around the most treasured Lake Hollingsworth and biking trails from lake to lake. There is plenty of community involvement in arts and entertainment. It is a place in which you can feel comfortable raising your family with improving school grades, test scores and a magnitude of choices from public, magnet, charter, and exclusive schools. There are a lot of things to love﻿ about Lakeland Florida. The City of Lakeland’s financial stability, together with a lot of nearby contributors and philanthropists providing assistance for its residents' well being, hassle-free public transport, and its established community school system are just the tip of the iceberg. Lakeland also boasts fantastic yet cheap tourist attractions, such as the beautiful Hollis Botanical GARDEN and the next Barnett Park, the Polk Museum of Arts, the industry’s greatest assortment of Frank Lloyd Wright at Florida Southern College, and the Florida Air Museum, just to name a few. Majority of the Lakeland residents workforce obtain work in the wholesale and the retail trade sector, as well as in the manufacturing, production, mining, tourism, distribution and service industries. More importantly, in relocating to Lakeland FL from cities like Tampa and Orlando, real estate affordability is the most encouraging factor. Lakeland FL houses are more affordable, with typical home prices for single family homes at around $125,000, making commuting to Orlando or Tampa considerably much more appealing with easy access to Interstate and the Polk Parkway. For people retiring from states like New York and other northern states to warmer weather and friendlier climate, there is no income tax in Fl and you can save money on property taxes by owning your primary residence with homestead exemption. Consider a move to Lakeland FL - It may simply be the greatest small city you're looking for, with community friendliness and the variety of venues Lakeland has to offer for its residents of all ages. To get started now for your relocation to Lakeland Florida, go to your cost-free Lakeland FL home search provided in different languages.